Bellafill® is a unique, injectable collagen filler with microspheres, most commonly used for wrinkle treatment, that can instantly smooth facial wrinkles and restore lost volume for beautiful, natural-looking correction that lasts. 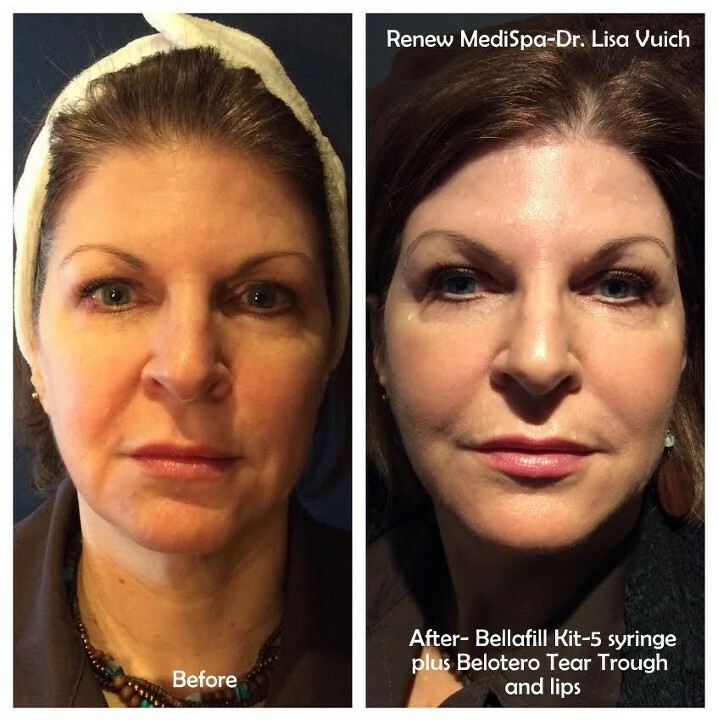 In the world of injectables, Bellafill® is distinctive. It has been approved for the correction of nasolabial folds or “smile lines” since 2006. In December 2014, Bellafill® was also approved by the FDA for the correction of certain types of moderate to severe acne scars in patients over 21. Bellafill® is a polymethylmethacrylate (PMMA) collagen filler. The collagen in Bellafill® provides immediate volume and lift, while the PMMA microspheres remain in place and create a matrix that supports collagen production in your skin for lasting improvement. The syringe also contains 0.3% lidocaine to make the injection more comfortable. The bovine collagen used in Bellafill is sourced from a herd in the United States that is controlled, bred, and monitored according to FDA, ISO and USDA guidelines. The collagen is highly purified. PMMA is a synthetic material which has been used in the operating room since 1949. Bellafill® is composed of millions of symmetric, identical microscopic spheres of PMMA. The microspheres are suspending in bovine collagen which is absorbed by the body over the course of several months. Bovine collagen has been and FDA approved dermal filler since 1981. For more than two decades, collagen fillers were the most popular injectable implants in the United States until hyaluronic acid products (ex: Juvéderm®, Restylane® and many others) entered the market at the beginning of the 21st century. A skin test is available to check for the possibility of allergic reaction to the bovine collagen component. This skin test is available at Renew MediSpa at no cost to the client. Bovine collagen allergy is rare, and its presence is not 100% ruled out by a negative skin test. Allergic reactions if they occur tend to consist of redness, itchiness, and swelling which generally resolves spontaneously but can also be treated with medication. The correction obtained by the Bellafill® is long lasting because the body can’t break down the PMMA. 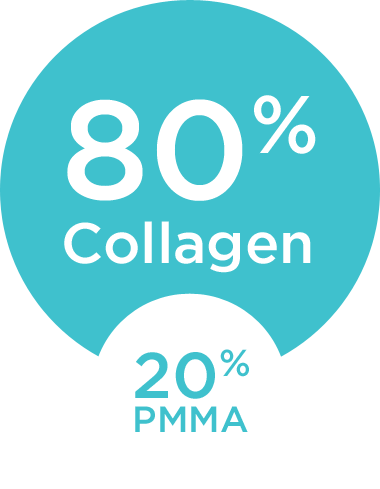 As the body digests the bovine collagen, it is creating its own collagen in response to the PMMA spheres. Bellafill® was previously known as ArteFill®. ArteFill® was approved by the FDA in October 2006 specifically for the correction of nasolabial folds. Over the development period of 20 years most of its side effects have been eliminated to achieve the same safety standard as today’s hyaluronic acid products. 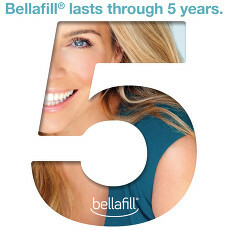 Bellafill® has five-year safety and efficacy data from the largest and longest prospective dermal filler study ever conducted through the FDA. There has been extensive clinical testing and 5 and 10 year post market surveillance. When taking a closer look at the 10 years post market surveillance, from 2007 to December 2016, approximately 600,000 syringes were sold in that time frame, with a remarkable 0.11% of total adverse events reported. Who is a candidate for Bellafill® Wrinkle Treatment? Indications are similar to those for hyaluronic acid fillers. 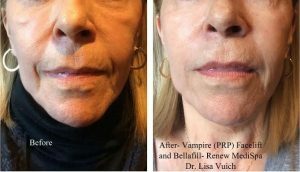 Aesthetic correction with Bellafill® appears to be sustained for many years because the PMMA microspheres cannot be broken down by enzymes or removed by phagocytosis. Biocompatibility, safety, and stability at the implantation site persist indefinitely. Maintenance of volume and pliability appear to be a product of natural and continuous connective tissue turnover and collagen deposition. No migration, dislocation, or erosion through the skin has resulted, coincident with the complete encapsulation of the PMMA microspheres. There is minimal foreign body reaction as a result of the smooth surface of the microspheres and their uniform size. Patients must be 21 years of age or older, and per FDA recommendations receive the required negative skin test prior to treatment. In clinical studies, Bellafill® was shown to work in all skin types, and in men and women. If you have had a positive reaction to the Bellafill® Skin Test, have a history of severe allergies (anaphylaxis), have known bovine collagen allergies, are allergic to lidocaine, have severe bleeding disorders, or are prone to thick scar formation and/or excessive scarring, you should not receive Bellafill®. 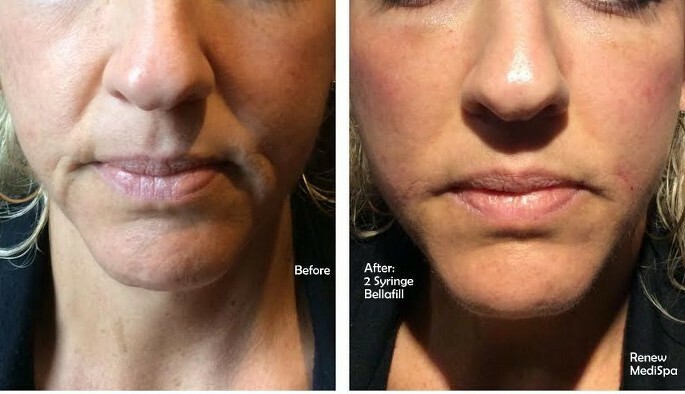 The same cautions apply to the use of other dermal fillers, though bovine collagen is unique to the Bellafill®. As with other dermal fillers, safety of use in pregnant or breastfeeding women has not been established because they were not enrolled in the studies which led to FDA approval of the product. Where can Bellafill® be used? 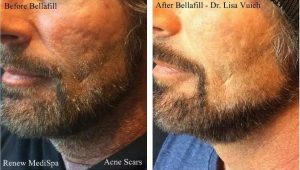 Bellafill is commonly used in the nasolabial folds/ “smile lines”, and also with subscision placed into certain types of acne scars. 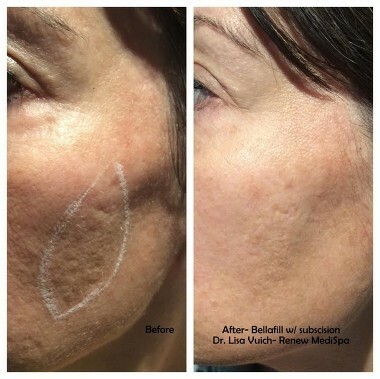 There are also “off label” uses of Bellafill which are common- the cheeks, the marionette region, and the hands for example. “Off label” means the use of the filler in this region has not been specifically evaluated by the FDA. 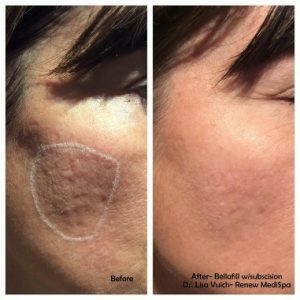 If you’re interested in learning more about Bellafill, call us today to schedule your appointment.